Born in Connecticut, Attorney Onacewicz is admitted to practice before Connecticut and Massachusetts state and federal courts, and the U.S. District Court Eastern District of Michigan and Southern District of New York. 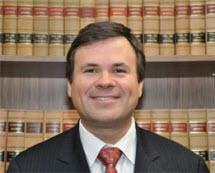 His practice areas include representing creditors and securing their rights in state and federal bankruptcy court. He graduated from the University of Connecticut School of Law with high honors in 1991 and received Four American Jurisprudence Awards for excellent achievement in the study of Constitutional Law, Property, Commercial Law, and Conflicts of Law. He was a law clerk to the Honorable Robert L. Krechevsky (U.S. Bankruptcy Judge) in 1991-1992.